I’ll start this post firstly by saying that I am not an insomniac. I generally sleep okay however there are days when I toss and turn and before I know it, it’s 4:30am – 2 hours before my alarm sounds. Chronic backache and everyday stresses cause me this lack of sleep however I feel like I may have found my cure. 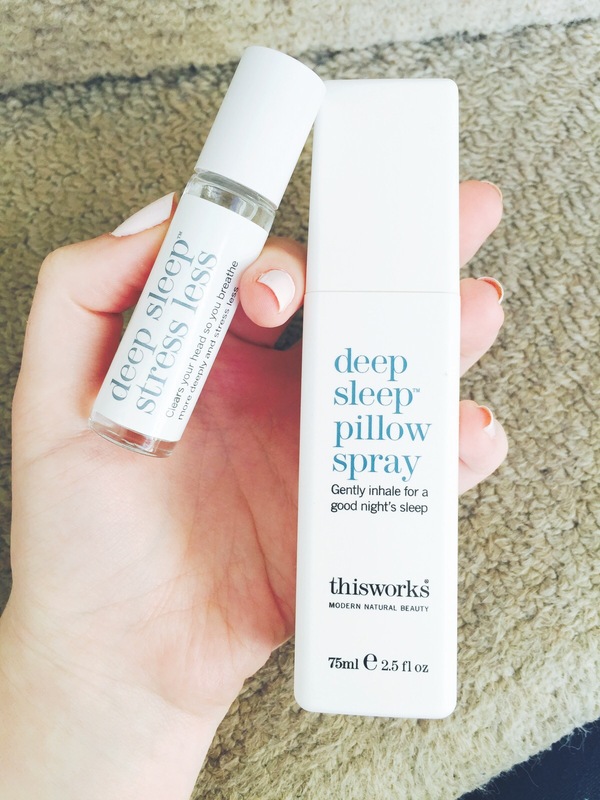 Now, I’ve heard a lot about This Works Deep Sleep Pillow Spray and always just thought it to be gimmicky and overpriced. Until I tried it. I first bought the Stress Less rollerball as it was cheaper and pretty much claims to do the same thing and now I feel lost without it. The scent is so soothing and calming that I seem to drop right off to sleep without so much as a toss or a turn. I apply it to my temples and just around my nose area so that I’m directly breathing it in (maybe I’m breathing it in too much?? Can you overdose on it?!) and it sends me to sleep within minutes. The Pillow Spray works in much the same way, just spritz it a few times across your pillow and wait a few minutes to get into bed and this, working simultaneously with the rollerball, works wonders! Comatose in just a few minutes? Sounds good to me. This entry was tagged beauty, pillow spray, stress less, this works. Bookmark the permalink.